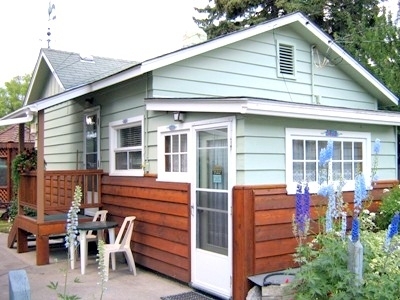 Cozy basement bachelor suite with a double and single bed, microwave kitchenette. Welcome to Banff Beaver Cabins, a \"Class B Alberta Heritage Site\" and one of the earlier set of tourist cabins built in Banff. 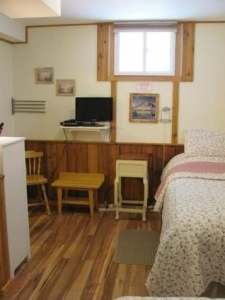 Our cabins consist of five fully furnished, cozy one bedroom and two bedrooms cabins, all with full bathrooms, kitchenette and some with living rooms, situated in downtown Banff, one block away from Banff\'s main street. Living and dining areas are comfortably furnished. The kitchens are well equipped, with all the amenities of home.